12.09.2017 - FEATURE: Two outstanding performers from Sweden and France are awarded the EHF Player of the Month awards for July/August. 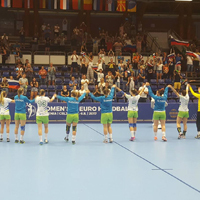 06.08.2017 - WRAP-UP: Eight teams have the best players, female coaches recognised, Slovenia 2017 also home to EHF Mobile Reporters project and EHF Photo project. 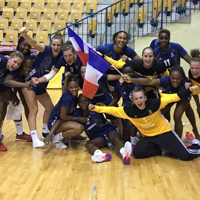 04.08.2017 - DAY REVIEW: Women’s 19 EHF EURO finalists known in dramatic day of games. 02.08.2017 - DAY REVIEW: First day of main and intermediate round at Women's 19 EHF EURO asks more questions than provides answers. 29.07.2017 - DAY REVIEW: Hosts win as Hungary, Russia, France and Denmark top their groups at Slovenia 2017. 28.07.2017 - DAY REVIEW: Slovenia fall to Montenegro as eight games take place on first day. 27.07.2017 - The European summer of top handball continues as from 27 July to 6 August in Celje, Slovenia, the Women’s 19 EHF EURO will take place - and fans can follow all the games for free and live on ehfTV.com. 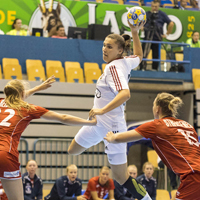 25.07.2017 - PREVIEW: The Women's 19 EHF EURO starts on Thursday. Can Netherlands, France, Norway and the rest stop Russia or Denmark extending their dominance of the 1998 generation? 15.07.2017 - RISING STARS: Spain captain Ana Gonzalez reflects on her breakthrough year and looks forward to the Women's 19 EHF EURO. 13.07.2017 - RISING STARS: Gaining more and more experience, talented Tena Japundža plans to shine for Croatia at the Women's 19 EHF EURO starting in two weeks.